The new web site www.ultrachloraseptic.co.uk is live and ready to compete in the tough UK marketplace. Just in time for “the season” of coughs / colds and sore throats! 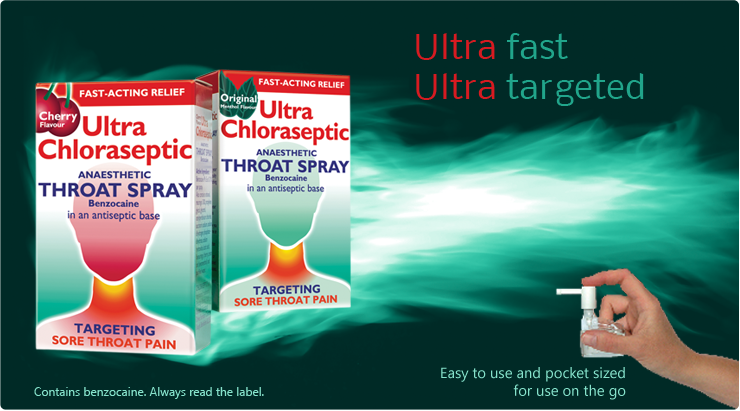 UltraChloraseptic is great product which actually works, as it says it should. Now, there’s a novelty! Great brand! Interesting to see how fast the SEO changes impact consumer search and business results, analytics in place and tracking, watch this space!